The right stonework can add value to your North Texas property and boost its appearance. From walkway stones to retaining walls, our landscape designers can help you select the most suitable type of stonework for your landscaping. We’ll help you narrow down your options based on certain factors, such as the kind of look you’re going for and the type of landscape features you have. The right selection of stonework can do wonders for your North Texas yard. 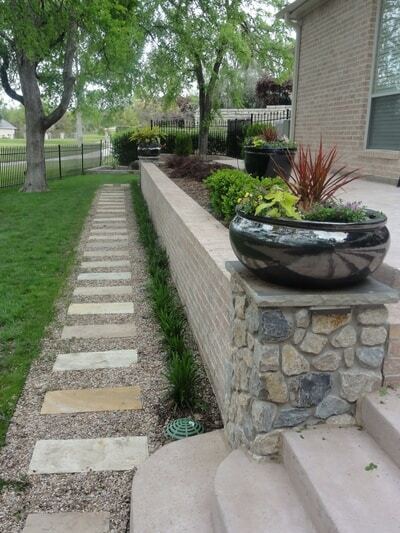 Having stonework in your yard doesn’t have to mean placing a boulder here or some pebbles there. The professionals at Landscape by Design have the expertise needed to design and implement stonework that creates a distinct impression. You can choose stones that have a smoother texture and lighter tones for an elegant appearance, or go with darker and rougher stones to create a rustic appearance. If you’re not sure what type of decorative stonework would look best for your home, you can turn to our team for help. 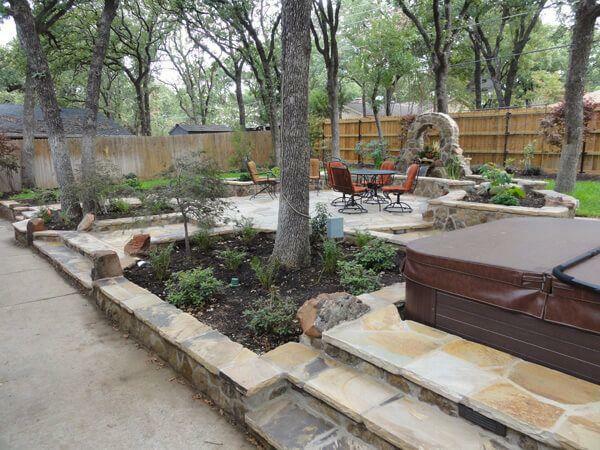 What kinds of landscaping stone should you go with for your Fort Worth yard? When you begin looking into your landscaping stone options, you’ll soon find that there are many different ones to consider. From limestone and flagstone to pebbles and granite, it can be difficult to know which stones would best suit your home. That’s why it’s important to get expert guidance from our team at Landscape by Design. The stone you go with for your landscaping should complement the rest of your landscape features or provide a visually stunning contrast. The overall look you want for your home will help determine the type of stone that works best for you. Our landscape designers will help you choose stones that accentuate the landscape features in your yard, and we’ll work with you to come up with a stonework design. Retaining walls are an important feature when you have uneven slopes in your yard. These slopes can be unsightly and negatively affect your home’s appearance. We design stone retaining walls that are useful and also add a touch of creativity and elegance to your property. 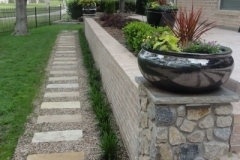 With our help, you can select the right material, and we’ll build a functional and appealing retaining wall for you. Incorporating walkways and stepping stones in your landscape design is a great way to create paths from one area to another while also enhancing the overall beauty of your yard. Whether you need a walkway from your deck to your garden or stepping stones that lead from a pond to a patio, we can help you come up with the best design and choose the right stone to use. Landscape By Design can help you implement a more rustic look on your landscape with rough-hewn stonework or provide it with a more elegant look with smoother stones. 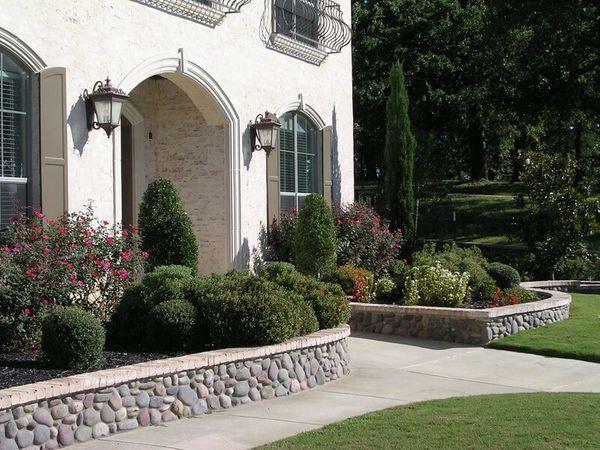 We look forward to designing and implementing retaining walls, decorative stonework, or other kinds of stonework for your North Texas property. Contact us today to learn more.